John Joseph Travolta (born February 18, 1954) is an American actor, dancer, and singer. Travolta first became known in the 1970s, after appearing on the television series Welcome Back, Kotter and starring in the box office successes Saturday Night Fever and Grease. Travolta's acting career declined through the 1980s. His career enjoyed a resurgence in the 1990s with his role in Pulp Fiction, and he has since continued starring in more recent films such as Face/Off, Swordfish, and Wild Hogs. Travolta was nominated for the Academy Award for Best Actor for Saturday Night Fever and Pulp Fiction. He won the Golden Globe Award for Best Actor - Motion Picture Musical or Comedy for his performance in Get Shorty. In 2014, he has received the IIFA Award for Outstanding Achievement in International Cinema at the 15th IIFA Awards held at the Raymond James Stadium in Tampa, Florida, in the United States. Travolta, the youngest of six children, was born and raised in Englewood, New Jersey, an inner-ring suburb of New York City. His father, Salvatore Travolta (November 1912 – May 1995), was a semi-professional American football player turned tire salesman and partner in a tire company. His mother, Helen Cecilia (née Burke, January 1912 – December 1978), was an actress and singer who had appeared in The Sunshine Sisters, a radio vocal group, and acted and directed before becoming a high school drama and English teacher. His siblings, Joey, Ellen, Ann, Margaret, and Sam Travolta, have all acted. His father was a second-generation Italian American and his mother was Irish American; he grew up in an Irish-American neighborhood and has said that his household was predominantly Irish in culture. He was raised Roman Catholic, but converted to Scientology in 1975. 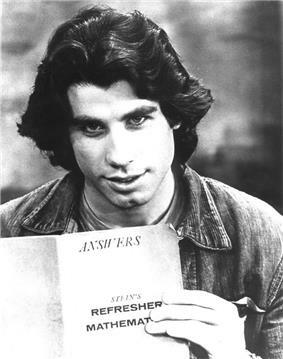 Travolta attended Dwight Morrow High School, but dropped out as a junior at age 17 in 1971. Travolta's first California-filmed television role was as a fall victim in, Emergency! (S2E2), in September 1972, but his first significant movie role was as Billy Nolan, a bully who was goaded into playing a prank on Sissy Spacek's character in the horror film, Carrie (1976). Around the same time, he landed his star-making role as Vinnie Barbarino in the TV sitcom Welcome Back, Kotter (1975–1979), in which his sister, Ellen, also occasionally appeared (as Arnold Horshack's mother). The show aired on ABC. Travolta had a hit single entitled "Let Her In", peaking at number ten on the Billboard Hot 100 chart in July 1976. In the next few years, he appeared in two of his most noted screen roles: Tony Manero in Saturday Night Fever (1977) and as Danny Zuko in Grease (1978). The films were among the most commercially successful pictures of the decade and catapulted Travolta to international stardom. Saturday Night Fever earned him an Academy Award nomination for Best Actor. At age 24, Travolta became one of the youngest performers ever nominated for the Best Actor Oscar. His mother and his sister Ann appeared as extras in Saturday Night Fever and his sister Ellen appeared as a waitress in Grease. 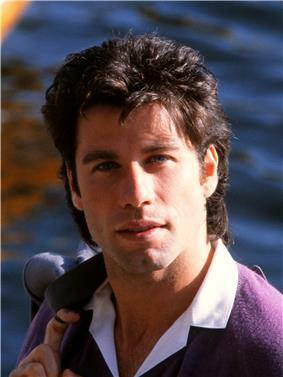 Travolta performed several of the songs on the Grease soundtrack album. In 1980, Travolta inspired a nationwide country music craze that followed on the heels of his hit film, Urban Cowboy, in which he starred with Debra Winger. Travolta also starred in and co-produced Battlefield Earth (2000), based on a work of science fiction by L. Ron Hubbard, in which he played the leader of a group of aliens that enslaves humanity on a bleak future Earth. The film received almost universally negative reviews and did very poorly at the box office. In 2007, he starred in Wild Hogs and played Mrs. Edna Turnblad in the remake of Hairspray, his first musical since Grease. In 2008 he lent his voice for the film Bolt, in which he played the title role. Similarly, he is to play the voice of Gummy Bear in the animated film release scheduled for late 2015, "Gummy Bear The Movie 3D", a film that may be noted more for its associated merchandise revenues. Travolta dancing with Diana, Princess of Wales, at the White House, November 9, 1985. She is wearing her Travolta dress. Travolta married actress Kelly Preston in 1991. The couple had a son, Jett (April 13, 1992 – January 2, 2009). Their daughter, Ella Bleu, was born in 2000 and a third child, a son named Benjamin, was born in 2010 in Florida. Travolta and Preston have regularly attended marriage counseling; Travolta has stated that therapy has helped the marriage. Travolta and wife Kelly Preston at the 2014 Cannes Film Festival. In 2009, Travolta's son, Jett, died while on a Christmas vacation in The Bahamas. A Bahamian death certificate was issued, attributing the cause of death to a seizure. Jett, who had a troubled history of seizures, reportedly suffered from Kawasaki disease at the age of two. Travolta confirmed speculation that his son had autism and suffered regular seizures and immediately made his public statements while giving testimony after a multi-million dollar extortion plot against him in connection to his son's death. 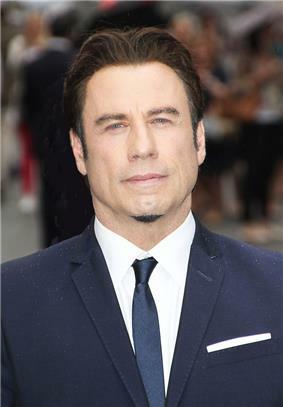 After a mistrial, Travolta dropped the charges and has credited his immediate family and faith in helping him survive the premature death of his son and in moving forward with his film career. 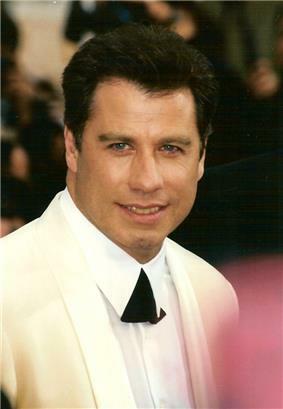 Travolta has been a practitioner of Scientology since 1975 when he was given the book Dianetics while filming the movie The Devil's Rain in Durango, Mexico. After the 2010 Haiti earthquake, joining other celebrities in helping with the relief efforts, Travolta flew his 707 full of supplies, doctors, and Scientologist Volunteer Ministers into the disaster area. Travolta is an accomplished private pilot, with multiple certifications and extensive experience. He owns five aircraft, including an ex-Qantas Boeing 707–138 airliner that bears the name Jett Clipper Ella in honor of his children. Pan American World Airways was a large operator of the Boeing 707 and used Clipper in its names. The 707 aircraft bears the marks of Qantas, as Travolta acts as an official goodwill ambassador for the airline wherever he flies. He is the author of the book Propeller One-Way Night Coach, the story of the young Jeff's first flight. 1972 Emergency! Chuck Benson Episode: "Kids"
1972 Owen Marshall: Counselor at Law Episode: "A Piece of God"
1973 Rookies, TheThe Rookies Eddie Halley Episode: " Frozen Smoke"
1974 Medical Center Danny Episode: "Saturday's Child"
1976 "You Set My Dreams to Music"
"I Don't Know What I Like About You Baby"
"Baby, I Could Be So Good at Lovin' You"
^ Pearce, Garth (July 15, 2007). "On the move: John Travolta". Times Online (London). Retrieved July 17, 2007. ^ "John Travolta Biography (1954–)". Filmreference.com. Retrieved August 26, 2009. ^ a b Flynn, Gaynor (February 28, 2010). "The resurrection man". ^ "Q&A: John Travolta". Sports Illustrated. February 28, 2007. Retrieved August 26, 2009. ^ Let Her In - John Travolta Billboard.com. retrieved: 2012-08-24. ^ White, Jim (October 17, 1994). "Look who's acting: Staying Alive was dire. Perfect was anything but. Now, courtesy of Tarantino's Pulp Fiction, Travolta is back.". The Independent (London). Retrieved August 26, 2009. ^ "Saturday Night Fever". Variety. December 14, 1977. Retrieved August 26, 2009. ^ Jackson, Kevin (February 6, 1996). "High-concept high roller". The Independent (London). Retrieved August 26, 2009. ^ "John Travolta goes the whole Hog with his new hit movie". The Independent (London). April 6, 2007. Retrieved August 26, 2009. ^ Lasalle, Mick (October 15, 1995). "'"Making Movies With the Mob / John Travolta stars as gangster producer in Elmore Leonard's 'Get Shorty. Sfgate.com. Retrieved August 26, 2009. ^ "Biography of Diana Hyland". ^ Linton, Marilyn (February 10, 2009). "Therapy can keep it real when the honeymoon is over". London Free Press. Retrieved February 12, 2009. ^ """John Travolta Sued for Assault and Sexual Battery by Masseur, Actor's Rep Calls Claim a "Baseless Lie. E! Online. Retrieved May 7, 2012. ^ "John Travolta fights back as two masseurs allege sexual harassment - Chicago Sun-Times". Suntimes.com. Retrieved May 9, 2012. ^ "BBC News - John Travolta faces more masseur abuse claims". Bbc.co.uk. May 9, 2012. Retrieved May 9, 2012. ^ "Second masseur drops John Travolta lawsuit". The Daily Telegraph (London). May 17, 2012. ^ "John Travolta addresses former pilot's gay romance allegations publicly for the first time". The Independent (London). September 16, 2014. ^ "John Travolta's teenage son dies". BBC News Online (BBC). January 2, 2009. Retrieved January 2, 2009. ^ "John Travolta's 16-Year-Old Son Dies". ^ Errico, Marcus (January 2, 2009). "John Travolta's Son Jett Dead at 16". ^ Usborne, David (October 23, 2009). "Judge declares mistrial in Travolta extortion case". The Independent (London). Retrieved June 28, 2011. ^ Allen, Nick (September 6, 2010). "John Travolta to drop charges in extortion case". The Telegraph (London). Retrieved June 28, 2011. ^ a b c "John Travolta's Florida Fly-in Home". Forbes. 2011-09-26. ^ "John Travolta's Boeing 707 at Flightstory.net - Aviation Blog". Blog.flightstory.net. Retrieved April 27, 2012. 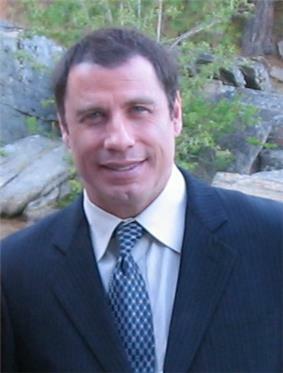 ^ "John Travolta Qantas Ambassador-at-large". Qantas - Ambassadors. Qantas airlines official website. Retrieved 20 March 2014. ^ "Travolta Lucky To Live Through Incident - Orlando Sentinel". Articles.orlandosentinel.com. March 27, 1995. Retrieved April 27, 2012. ^ Clark, Ally (September 13, 2010). "Oprah Taking Audience Down Under, with Travolta at Controls". ^ Travolta, John (October 1997). Propeller One-Way Night Coach.